Download LG XNOTE A560 Laptop Windows 8, Windows 8.1 Drivers and Software. Realtek Audio driver for LG Notebook. Intel Chipset driver for LG Notebook. Intel Rapid Storage Technology driver for LG. Intel Management Engine Interface driver for LG. Intel Management Engine Interface driver for LG Notebook. Intel GMA driver for LG Notebook. nVidia GeForce driver for LG Notebook. Intel Centrino Wireless Bluetooth driver for LG. Ralink Bluetooth driver for LG Notebook. Intel Bluetooth driver for LG Notebook. Ralink Wireless LAN N driver for LG Notebook. Intel Wireless Lan driver for LG Notebook. OnBoard Atheros LAN driver for LG Notebook. Realtek PCIE Card Reader driver for LG Notebook. Synaptics Touchpad driver for LG Notebook. LG Control Center driver for LG Notebook. LG Care Center driver for LG Notebook. LG Network Share for LG Notebook. 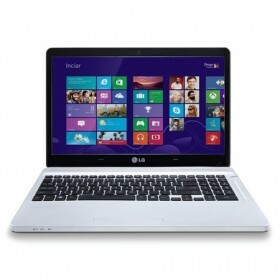 LG Smart Share for LG Notebook. LG Power Manager Suite driver for LG Notebook. Express Cache driver for LG Notebook. Airplane Mode driver for LG Notebook. LG Smart Btn driver for LG Notebook. LG Easy Starter driver for LG Notebook. On Screen Display 3 driver for LG Notebook. SRS Wide 3D driver for LG Notebook. Intel Rapid Start Technology driver for LG Notebook.